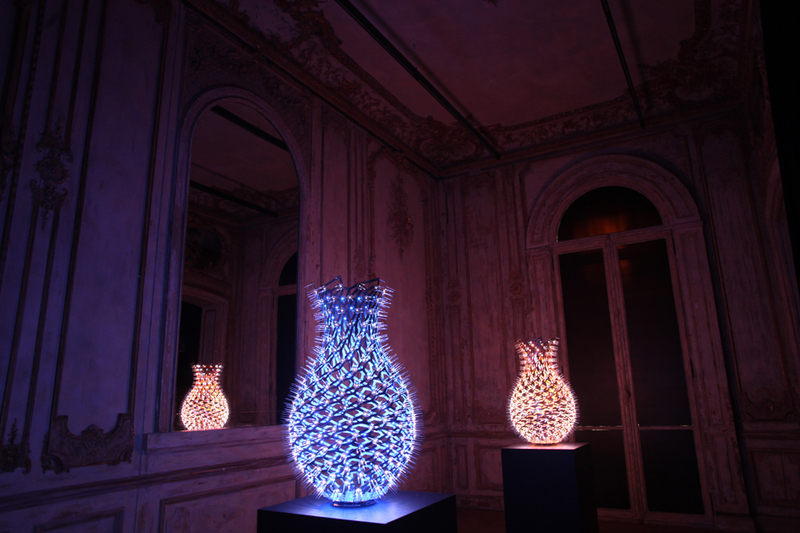 Inspired by ancient oriental vases, Moritz Waldemeyer has recreated the shape with a pair of interactive vases embedded with LEDs entitled Ming as part of his experimentation with parametric light structures. The unique design uses parametric techniques which see the vases made up of flat steel pieces. 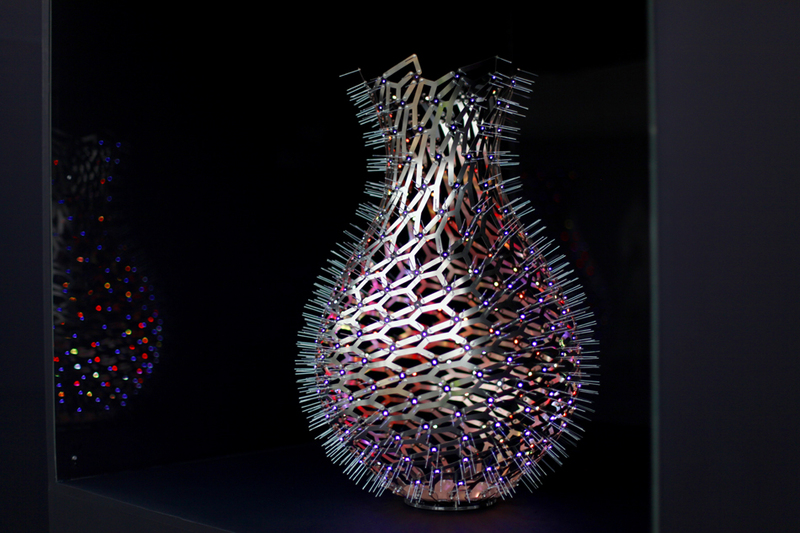 Each vase is compromised of a complex geometry of steel pieces and custom circuit boards that intersect and link one another together. 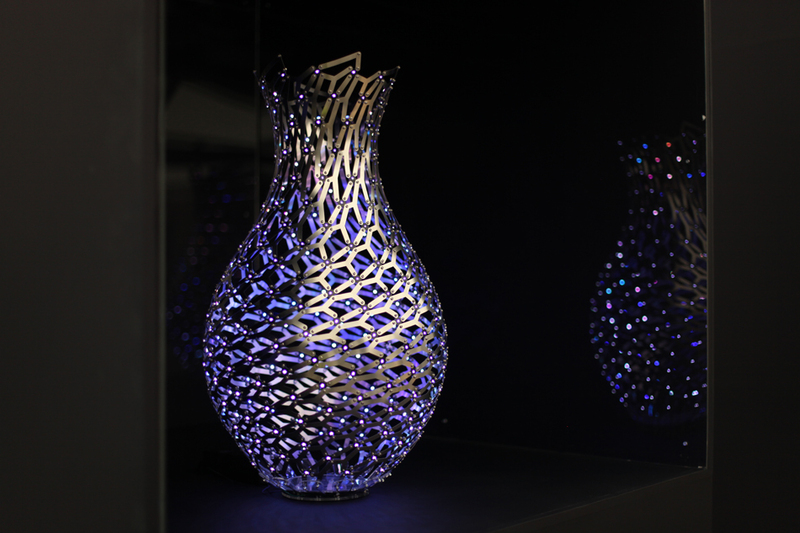 Both vases in the Ming series are programmed with different animations on the interior LED’s. One is animated with vibrant reds and oranges that depict flickering flames. The other, has bright blues and whites with a soft animation that depicts the gentle movements of water. The choice of opposing elements further embraces the oriental inspiration with fire and water both being important elements and symbols in the Chinese culture. 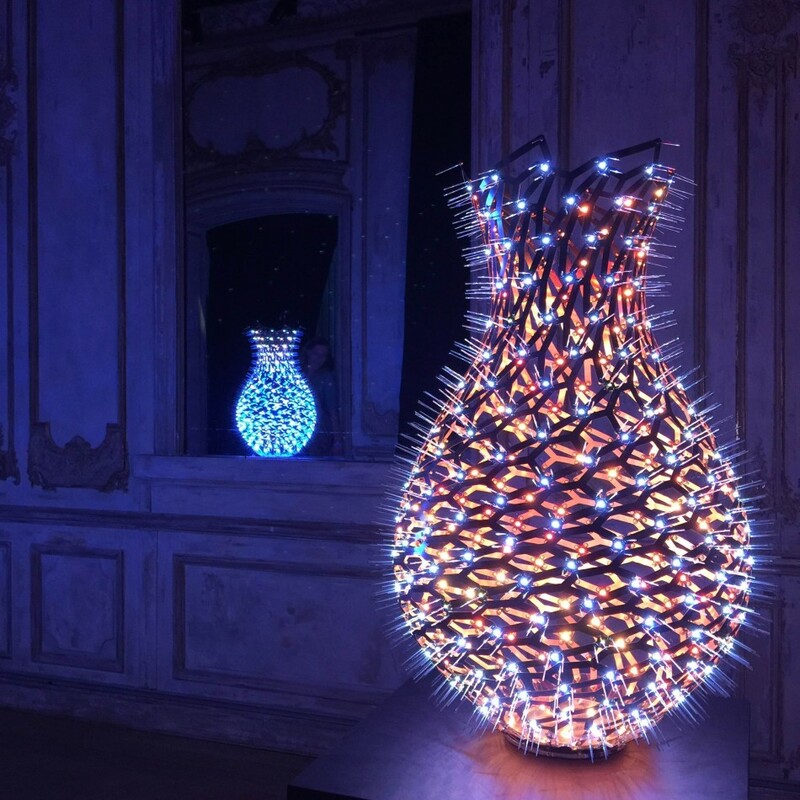 Ming was shown for the first time at Elephant Paname for the Play of Brilliants exhibition in 2015 and later shown as part of Future Heritage at Decorex 2015 as a part of LDF. This entry was posted on Thursday, March 12th, 2015 at 12:06 pm. 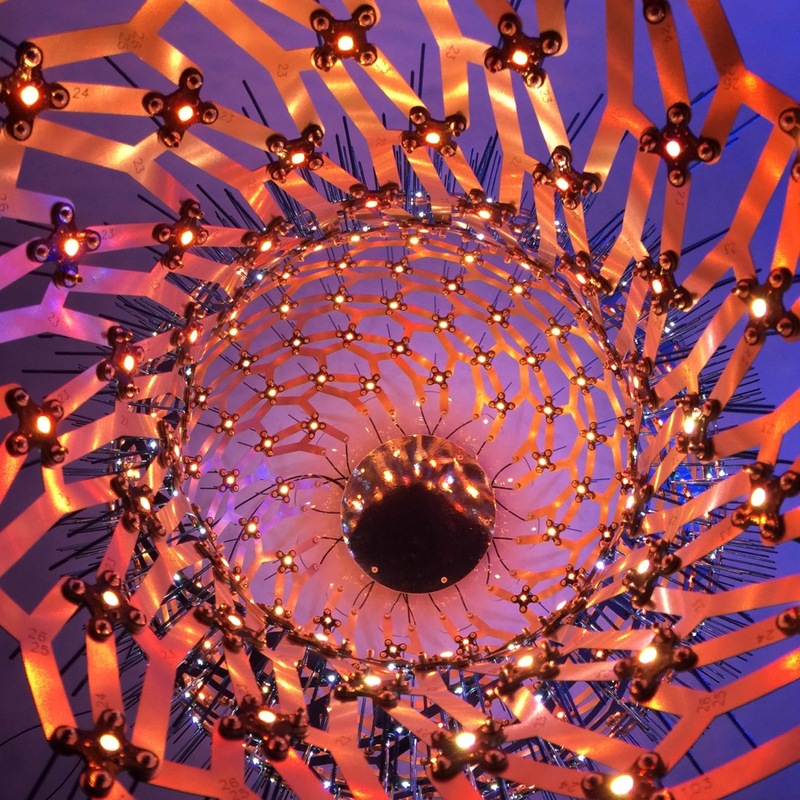 It is filed under ALL PROJECTS, LIGHT DESIGN, PRODUCT DESIGN. You can follow any responses to this entry through the RSS 2.0 feed.